Even the renowned Bendanns could turn out bad work. 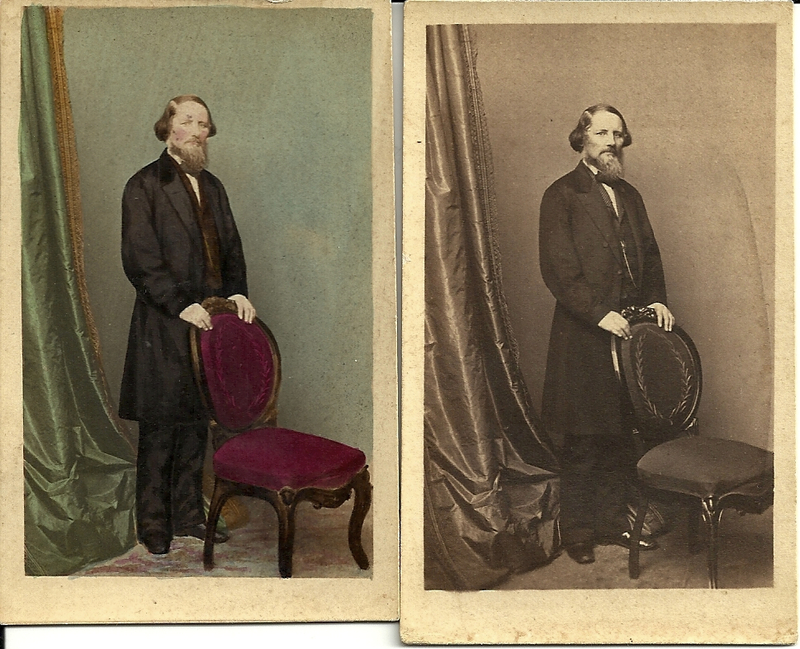 I was fortunate to acquire two Bendann Brothers carte de visites of the same subject. One has been hand-tinted; one has not. The contrast is striking. Instead of animating nature, an unskilled hand has marred it. These two cartes were produced at the Bendanns’ 205 W. Baltimore Street gallery, which, according to Ross Kelbaugh‘s Directory of Baltimore Photographers, the brothers occupied from 1859 to 1860.